Yep I’m in that picture. Look verrrrry closely. 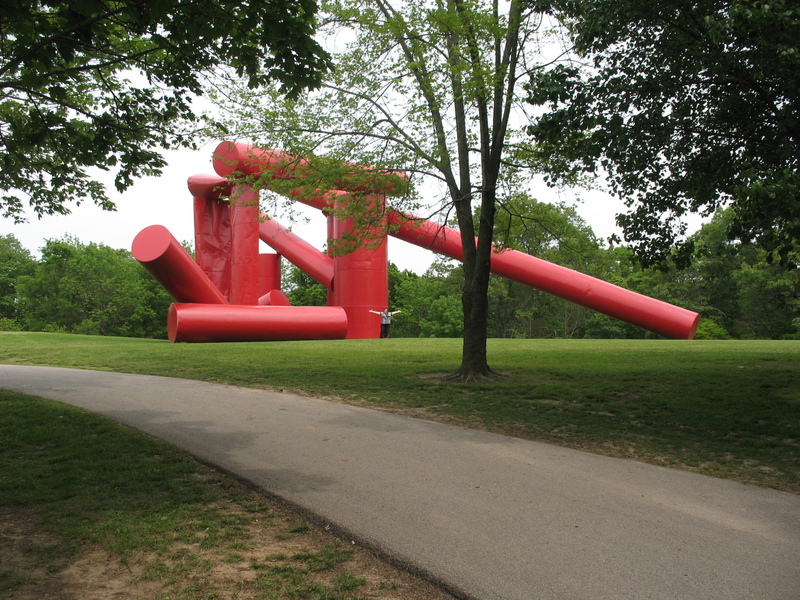 While on our recent trip to Missouri, we stopped at Laumeier Sculpture Park in St. Louis. This magnificent space hosts so, so many wonderful sculptures including this iconic behemoth called The Way by Russian-born artist Alexander Liberman. Composed on site in 1980, the piece is comprised of over 18 salvaged steel oil tanks welded together. It’s columns echo monumental Greek architecture. Up close, you’ll see that a number of the oil tanks are crushed to varying degrees to further demonstrate the “weight” of the sculpture. In fact, you might want to call this The Weigh by Alexander Liberman, because this thing is massive! Conclusion: The Way by Alexander Liberman weighs just a little more than me. 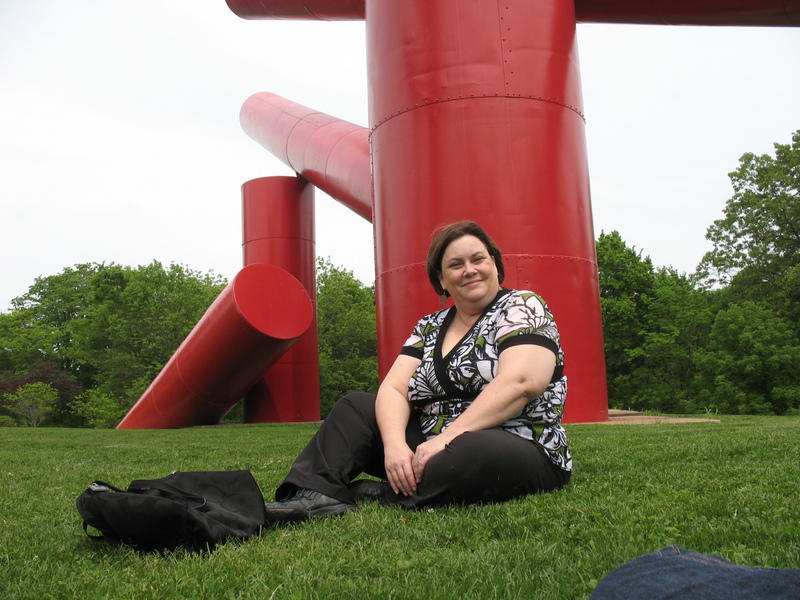 This entry was posted in Uncategorized and tagged Alexander Liberman, art, Laumeier, oil tanks, Park, salvaged, sculpture, St. Louis, steel, stuff that weighs more than me, The Way, The Weigh on June 11, 2014 by fatchicksings. Post more picture, love to see all those other ones we saw at the park. That was such a fun day.